Before we really start to clean your house, you need to choose a suitable cleaner for yourself. 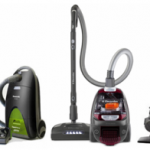 There are several types of vacuum cleaners in the market now like canister, upright, robot or even stick vacuums. 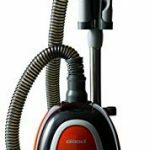 Many people prefer canister vacuum as its more reliable but every type of vacuums has their own pros and cons. Following are the general tips that can be useful for you when you want to clean your house. Vacuum the furnace vent once a month to remove dust and dirt build-up and improve the vacuum efficiency. Vacuuming the ceiling fans and light fixtures at least once a month with an extendable duster or use your vacuum’s wand and dusting brush attachment. Cleaning the books dust on the bookshelf once a month with the vacuum brush attachment on your vacuum. Help loosen stubborn debris in your microwave by microwaving a cup of water for three minutes before scrubbing the inside. Microwave your sponge several times a week to kill any germs or bacteria. Remove crumbs nestled between appliances with a vacuum’s crevice tool. Remove couch cushions and use vacuum attachments to collect the dust, dirt and debris that fell through the cracks. For easy cleaning of grout, use a combination of water and dish detergent and scrub with a soft car wash brush. Clean chrome sink fixtures by putting a thin layer of toothpaste over the faucet then wiping it with a wet sponge. To avoid creating streaks on windows, don’t wash them when the sun is shining directly on the glass, as this will cause cleaning solution to dry too quickly. The recommended vacuums for hardwood floors! Keep lint rollers and hand vacuums stored discreetly near your pet’s house or favorite hangout places for an easy and quick pick-up at any time. Keep pet-friendly homes clean with certain vacuum cleaner that specially design for pet, which grabs pet hair from upholstery, curtains and shades without harming delicate surfaces. To help keep pollen and dust out of your home, clean the inside ledges of open windows and caulk and seal around windows. To keep allergies under control, use a vacuum cleaner with a HEPA filter that will capture almost all of dust and allergens. Keep counters free of clutter and unnecessary items that provide additional areas for dust and allergens to hide. Here are the recommended vacuums for allergies.